Welcome to The Kingston Historical Society web site. 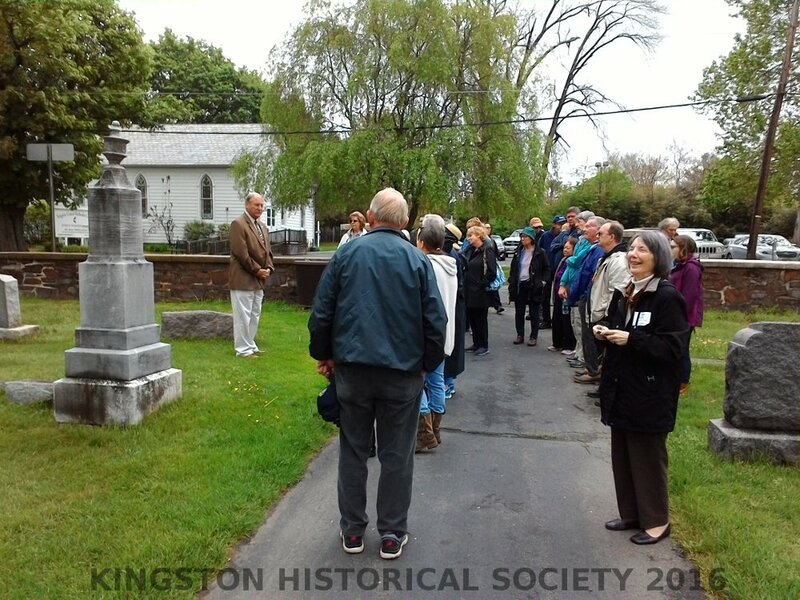 The Kingston Historical Society (KHS) was formed in 1997 as a non-partisan, non-profit organization to preserve, enhance and promote the history of the village of Kingston. KHS has its headquarters in the Locktender's House on the Delaware and Raritan Canal, Kingston, New Jersey. KHS is a 501(c)(3) organization. Come have breakfast, meet your neighbors, and learn about our village's oldest volunteer organizations! $8 for adults, $4 for children 12 and under. All proceeds go to helping maintain the Fire Department and its operations that keep our community safe. The KVFC and its Ladies Auxiliary are an important part of Kingston’s history; In 2018 KHS had an exhibit in the Locktender’s House celebrating the 90th Anniversary of the Kingston Volunteer Fire Company Ladies Auxiliary. We are planning an future exhibit on the Fire Company itself. It is an opportunity to explore the rich vibrant history of Franklin Township with a day of free activities, events, movies, exhibits and more at a variety of historic sites throughout Franklin Township. 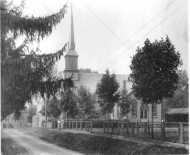 The Kingston Historical Society is a member of the Franklin Township Historical Alliance, which is made up of a number of Historical Societies and individuals in Franklin Township. 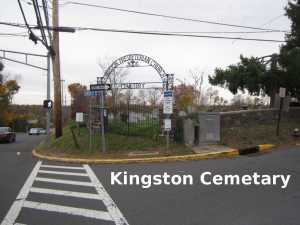 Among the sites will be The Kingston Locktender’s House and the Kingston Presbyterian Church Cemetery. At the two Kingston sites, Kingston Historical Society members will be available to describe and answer questions about their role in history and Kingston. It is an opportunity to see other historic sites in Franklin Township that will be open that day. KHS Spring Program: An Illustrated talk by Elric Endersby on New Jersey Barns. Born in Princeton, New Jersey, Elric’s early enthusiasm for local historic houses and outbuildings led him to a degree in Fine Arts/Architecture at Trinity College, Hartford. In 1975 he founded the Princeton History Project – recording the oral histories of individuals with memories stretching back to the 1870’s – and for 12 years edited its award-winning monthly journal The Princeton Recollector. Endersby has spoken on New Jersey barns and other related topics before many groups over the years. He has conducted barn tours in central New Jersey and documented hundreds of local structures including comprehensive surveys for several townships. He is a member of the Historic Preservation Commission of Princeton and has served as vice president of the Historical Society of Princeton. In recent years the restoration of an abandoned cottage on the north coast of the Dominican Republic has led to the development of designs for a number of structures in the Dominican vernacular at a new beach resort at Playa Grande. Elric is a co-founder and co-owner of the New Jersey Barn Company; the company restores and re-purposes barns. 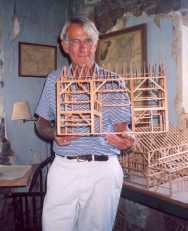 Among the firm’s projects is the Dutch Barn at Rockingham, in which his talk will be given. Elric is also the author of several books on barns. Due to inclement weather Saturday, May 19th 2018, a talk on Kingston’s Businesses was given at the Locktender’s House in lieu of the tour; however the tour was rescheduled for Saturday October 6th. 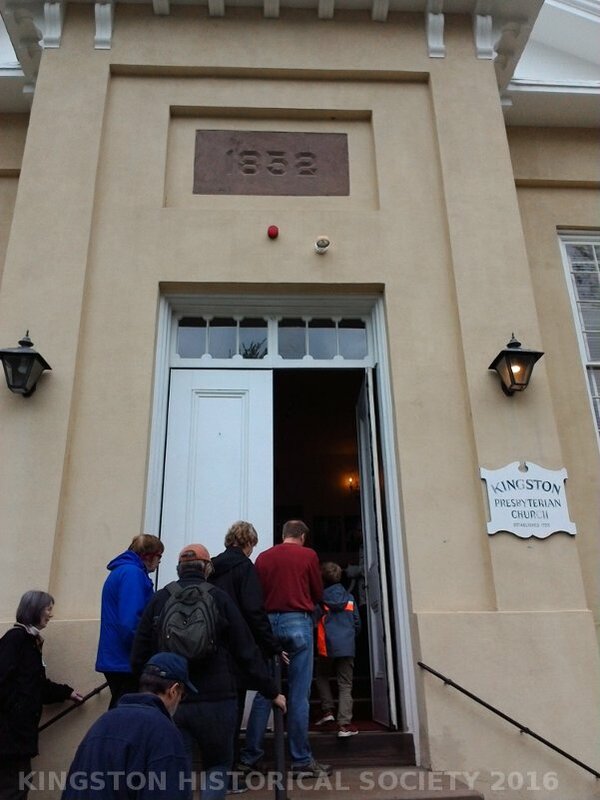 The well attended walk started at the Kingston Presbyterian Church parking lot, and ended at the Kingston Locktender’s House, where there was a display on Kingston’s Businesses and a demonstration of Paul Kayne’s models of the lock and former “A” Frame bridge. There was also a demonstration of Paul Kayne’s models of the lock and former “A” Frame bridge. 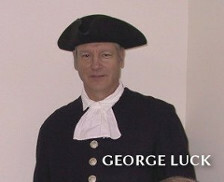 George Luck, Jr. once again demonstrated his deep knowledge of Kingston history. He pointed out some of its past businesses, telling about their owners and history. These businesses represent a time when Kingston was dependent on local merchants to supply groceries to shoes and to meet the needs of emerging businesses in the automotive era. George related the history of Kingston’s businesses, and the impact they have made in the community from the days of stage coaches, canal, Lincoln Highway and today. The KHS Annual Meeting was held on November 13th in the Kingston Firehouse hall. Ceil Leedom and Robert von Zumbusch we re-elected to serve until the 2021 Annual Meeting and David Potts was elected a Trustee Emeritus. The Kingston Historical Society honored the Carlo and Raoul Momo with our Annual Award for Historic Contribution for their significant contributions and generosity to the Kingston community. The Momos have rehabilitated two significant buildings with historic sensitivity: the former Union Line Hotel, now the headquarters of the Witherspoon Media Group, and the former Fisk grocery store, now with a sensitive addition, their Eno Terra restaurant. They have a strong interest in history; hosted a gathering for KBP at which KHS gave a presentation on Kingston’ history and displayed historical photographs. 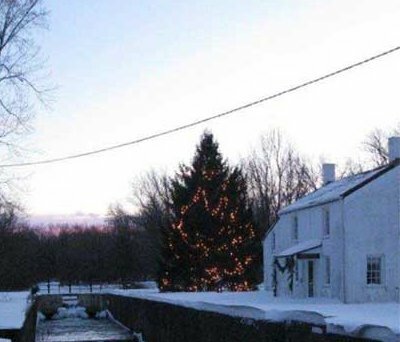 They established the “One Acre Canal Farm” on part of the former PN Kingston Site and are outstanding examples of the “Farm to table” movement. The program included a showing of the film Farming in the Millstone Valley: Past and Present – a project of the Millstone Valley Preservation Coalition, of which KHS is a participating organization. Farming in the Millstone Valley: Past & Present, is a 35-minute video documentary based on a historic account by Jessie Lynn Havens of Montgomery Township, and made by the Millstone Valley Preservation Coalition of Rocky Hill in association with the Van Harlingen Historical Society of Montgomery. Kingston residents were pleased to find mention and images of Kingston, Princeton Nurseries, Rockingham and easily recognized local restaurants, including, appropriately, the Momos’ Eno Terra. In coordination with the Annual Meeting program a display on Kingston’s Farms, created by Ceil Leedom, returned to the Kingston Lock-tender’s House in October and continued through November. Once again, on Sunday December 2nd, 1918, the KHS Annual Holiday Open House provided an opportunity to gather and enjoy holiday refreshments in the Locktender’s House, which was festively decorated for the occasion by the Kingston Garden Club, followed by the tree lighting and the music of the Kingston Women’s Chorus. 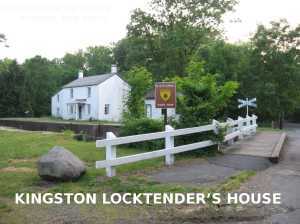 The Locktender's House is located at the Kingston Lock, at 4498 Route 27 North, on the Kingston Trails of D&R Canal State Park, in Kingston, New Jersey. It is open April through November, on Saturdays, Sundays and major holidays; from April thorough October the House will be open from 10 am to 5 pm. Farming in the Kingston Area. A new exhibit on Barns will be mounted in Late April. Permanently on exhibit are the HABS (Historic American Building Survey) drawings of the Kingston lock and canal house and other information about the D&R Canal and the adjacent area. Also on continuing exhibit is the Moor-Potts Library Desk. 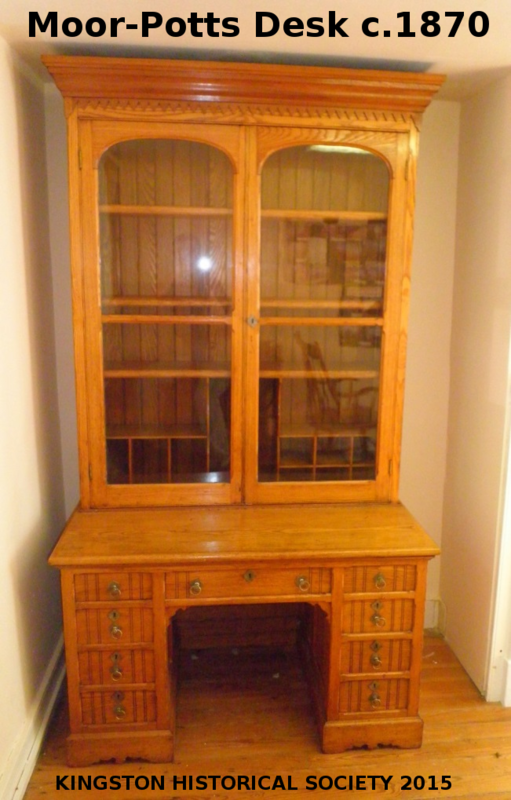 The desk was made in Kingston by a local cabinetmaker, John F. Moor, for his own use. The desk was acquired by the father of the late Dorothea “Jimmie” Potts at an estate auction after Moor's death in 1913. It was subsequently passed on to Dorothea. 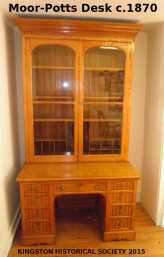 KHS acquired it at the estate sale after her death. 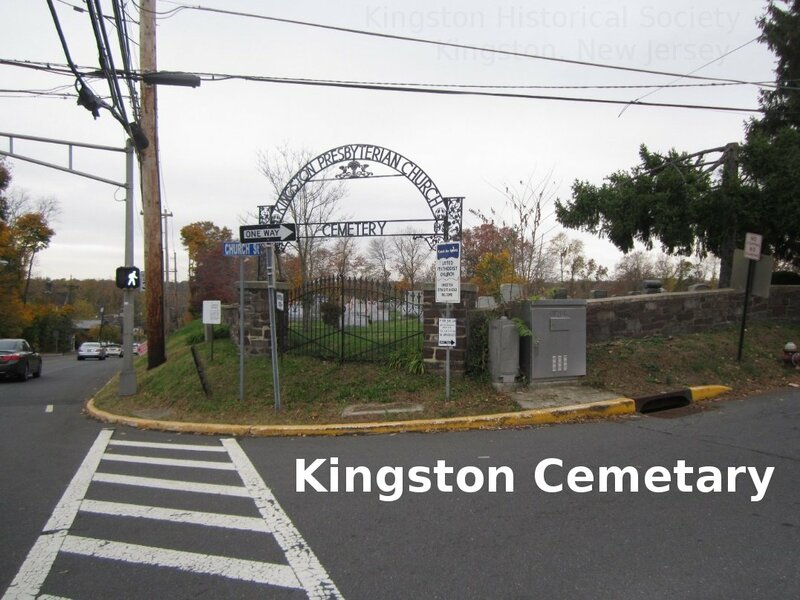 A public repository for KHS archival items relating to Kingston history, http://archive.khsnj.org, has been built; already a number of items have been placed in this repository and more are being added. The link to the repository can be found on the top of this web page by clicking Menu -> Archives. Feel free to visit and browse the archives. There is a "search field" (not case sensitive) to perform topical search functions. Using the database is the best method to view historical items of interest in our collections. We also publicly host items on, and use as a historical resource, the website archive.org. Archive.org is a global repository which houses media for perpetuity. 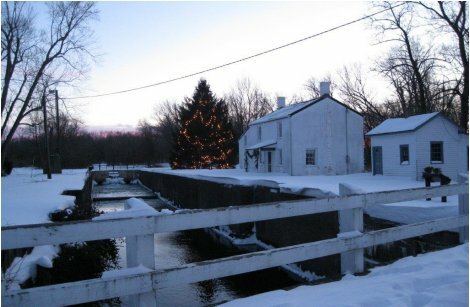 KHS members, fellow Kingston resident, and many others attended our annual Holiday Open House and Tree Lighting December 4th, 2016 at the Locktender’s House on the D&R Canal. They enjoyed holiday refreshments, decorations by the Kingston Garden Club, the annual tree lighting, and music by the Kingston Womens Chorus. After some background on the D&R Canal and its past and present importance to Kingston, KHS president Robert von Zumbusch led us through two videos: one, "D&R," produced and directed by Cliff Crawford in 1976 -- before the Canal Park was established; the video included historical footage and interviews with 'canalers.' The other, "The Canals of New Jersey,” produced by the Canal Society of New Jersey, provided a comparison with New Jersey’s other navigational canal, the unique Morris Canal, which was very different from the D&R. 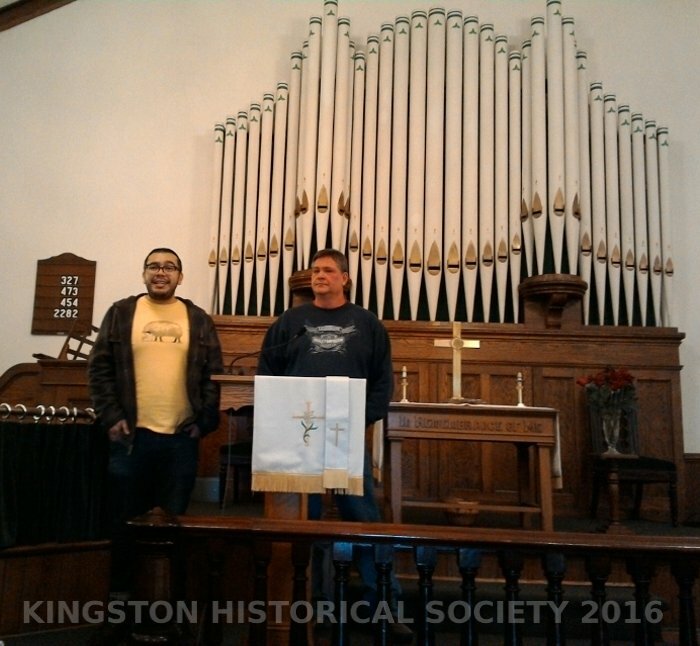 George Luck led a walking tour of Kingston’s two churches, assisted by their members. The tour started in the cemetery driveway opposite the Methodist Church. where he pointed out the graves of some of those who have played significant roles in the life of the Church and community and the site of Kingston’s first church. The walk proceeded up Main Street to the Presbyterian Church, where a brief history was given in the sanctuary. Participants walked back to the Methodist Church for a brief history of that church in its sanctuary, after which refreshments were served in the church hall. 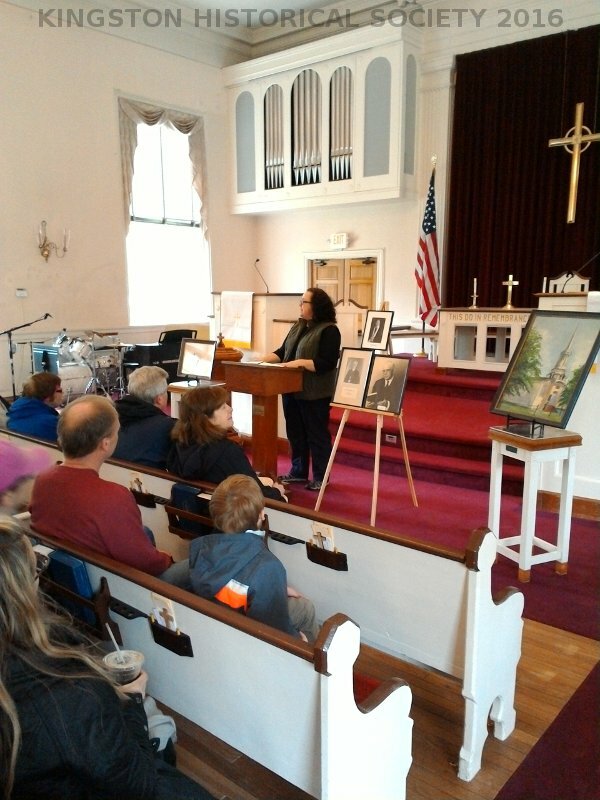 KINGSTON: CROSSROADS OF THE CROSSROADS OF THE AMERICAN REVOLUTION ~ NOVEMBER 10, 2015 The program was featured at the Kingston Historical Society Annual Meeting on November 10th, 2015 at the Kingston Firehouse. The program focused on the Revolutionary War and Kingston. After some background on the Crossroads National heritage Area, KHS vice president George Luck gave a presentation on Kingston’s history during the Revolutionary War. The presentation was illustrated by a video, from Crossroads of the American Revolution Association, and images from KHS and other archives. During that time General George Washington visited the Kingston multiple times, from 1776-1783. George (Washington - not Luck!) 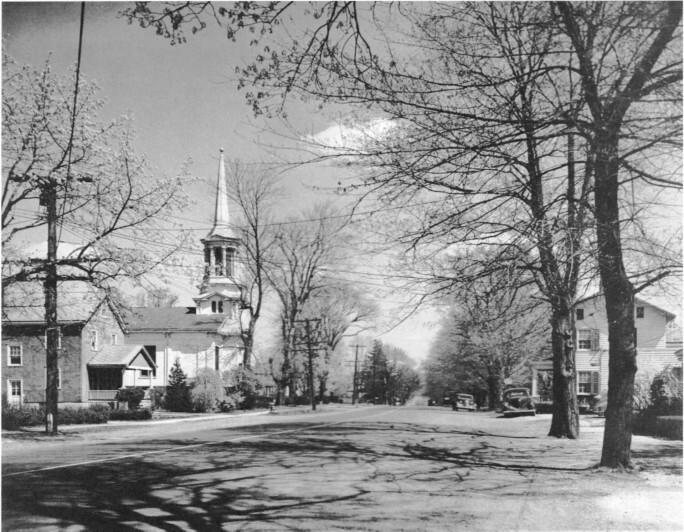 in 1776 rode down main street fleeing the British, in 1777 he paused after the Battle of Princeton for his “Conference on Horseback”; in 1778 he stopped for a day in Kingston on his way to the Battle of Monmouth and in 1783 stayed at Rockingham while the Continental Congress met in Princeton waiting to hear that the peace treaty with the British was signed. Princeton University Facilities engineer Robert Ortego gave an excellent illustrated presentation of the planned repairs to the dam, and KHS President Robert von Zumbusch offered a fascinating history of the Lake and its dam. Located in Kingston approximately 2 miles downstream of the confluence of the Stony Brook and Millstone River, the Carnegie Lake Dam, constructed in 1907, helped create the body of water still enjoyed by Princeton University’s crew as well as many others. Maintenance has been performed as needed on the Dam over the last century, and the time has come again to address needed repairs. 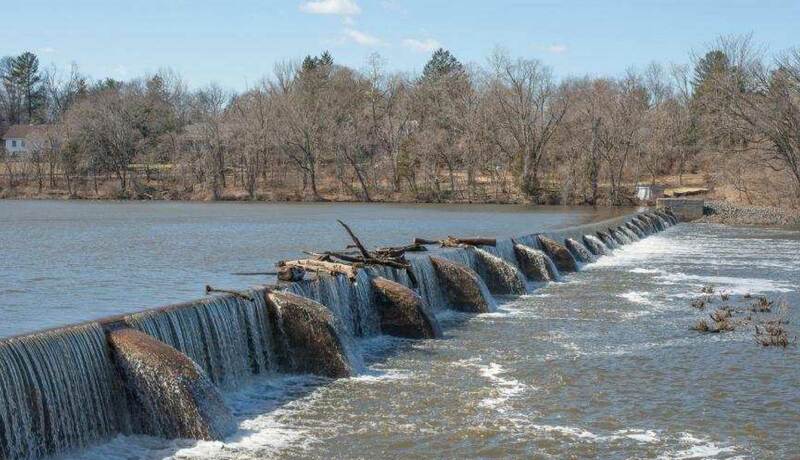 Princeton University’s Facilities engineers, along with consultants, have developed plans for structural repairs to a portion of the dam, which will begin in June 2015. The work will not affect the level of the lake, nor is it expected to impact traffic or pedestrian routes. 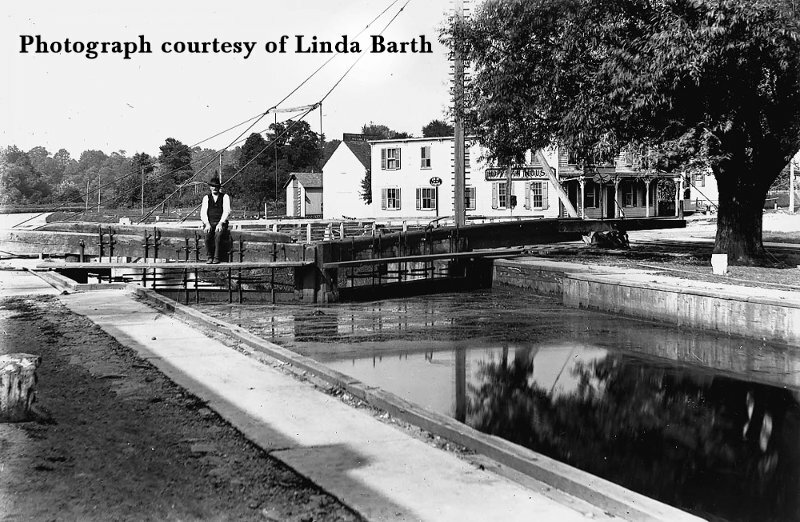 To learn more about the dam, the project, and the status of repairs, please visit Lake Carnegie Dam Repair and the current exhibit at the Kingston Locktender’s House. Railroads and Kingston; an illustrated presentation by John Kilbride, was given at the KHS Annual Meeting on October 14, 2014. The talk included the Camden & Amboy and Pennsylvania Railroads. 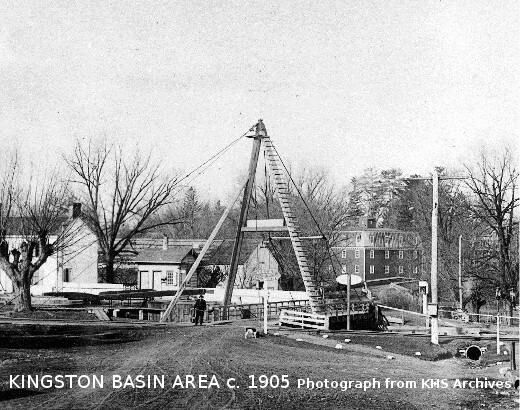 There was particular emphasis on the Rocky Hill Railroad and Transportation Company and Kingston Branch, which connected Rocky Hill to Kingston and to the main line at Monmouth Junction and beyond. Railroads and Kingston was also the subject of an exhibit in the Fall, which continued until May 2015. An Evening with Peter V. Shann portrayed by George Luck, Jr. was held on June 7, 2014. Peter Shann was born and grew up in Kingston; he was a Civil War soldier, who later became a Kingston Presbyterian Church Elder and a Kingston entrepreneur. The Kingston Presbyterian Board of Elders and KHS co-sponsored the event. The Millstone Valley Scenic Byway: a 15 minute film and a talk by author Linda Barth. The program was held 16 June 2014. 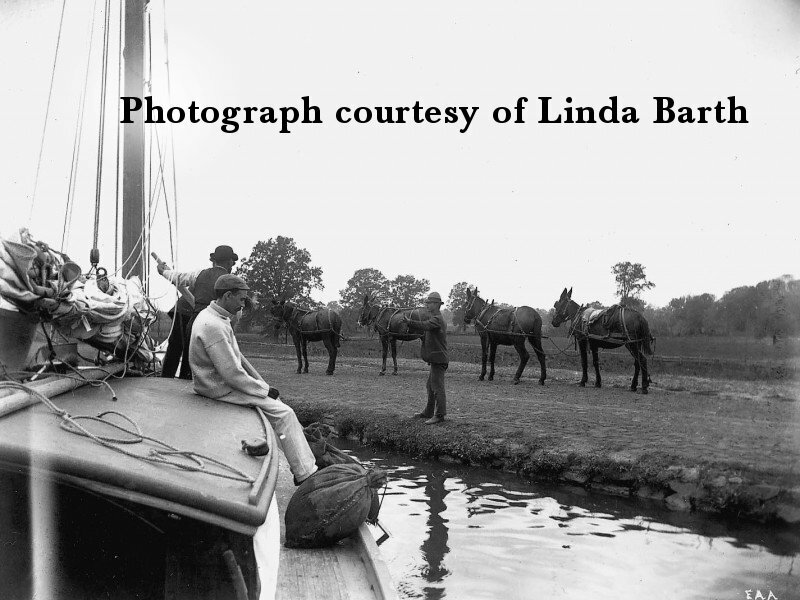 Linda has written several books including The Delaware & Raritan Canal, The Delaware & Raritan Canal at Work and the children’s book Bridgetender’s Boy; she is currently writing a book on the Millstone Valley. Linda is also co-president of D&R Canal Watch. New Jersey History Fair: Celebrating the 350th Anniversary of New Jersey May 10, 2014, at Washington Crossing State Park, Titusville, NJ. Kingston Historical Society joined with Kingston Greenways Association and Friends of Princeton Nursery Lands to provide coordinated exhibits on Kingston and its contributions to the history of New Jersey and the themes for 350th Anniversary: Innovation – Diversity – Liberty. An illustrated talk by William Flemer, IV was given October 9, 2013 at the Kingston Firehouse. A Lincoln Highway Centennial Celebration was held at the Kingston Locktender’s House June 22, 2013 in concert with the Lincoln Highway Association Centennial Tour; lunch was provided to tour participants by Eno Terra restaurant and a number of local vehicles of the era were on display. The Lincoln Highway - 1913 - 2013, an exhibit of KHS photographs and information about the Lincoln Highway was on display in the Kingston Locktender's House from April to September 2013.